Suffering personal injuries as a crime victim in Overtown can be extremely difficult. At the Wolfson Law Firm, we have been helping crime victims and survivors suffering from personal injuries in South Florida since 1963, and we know how hard it is for the victims to navigate the road to damages recovery by themselves. That’s why we recommend that you contact our Overtown crime victim compensation attorneys at the Wolfson Law Firm at (305) 285-1115. We will advise you for free and in case of representation, you won’t pay us any fees unless and until we recover for you. The Overtown neighborhood is located next to Miami downtown and is the second longest-inhabited area after Coconut Grove. Widely known as the “colored” neighborhood in the Jim Crow era, Overtown lived its best days in the mid-20th century when it was an important entertainment spot, comparable even with Miami Beach. Its Northwest Second Avenue has been nicknamed “Little Broadway” of the south. Although Overtown still hosts many historical sites, it’s a low income area with a median household income of only around $13,000. In general, there are three ways to recover damages as a crime victim or survivor. The first one is to wait for the end of the criminal proceedings against the criminal offender, if his or her identity is known at all. The other two ways are more realistic for Overtown crime victims. 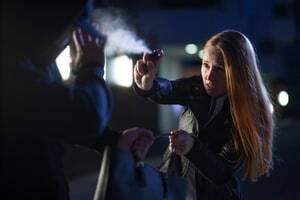 If the crime has occurred on premises under someone else’s control or management, they owed you a duty to provide you with a reasonably safe environment on their premises. When they breach this duty due to negligence and that contributes toward your personal injuries, they may be liable for compensating you for your harms and losses. The third option involves the Florida Bureau of Victim Compensation. They may cover some or all the medical and non-medical expenses related to personal injuries and losses suffered as a consequence of a criminal attack. The victims who have suffered the criminal attack themselves are not the only ones who have right to a damages recovery – such as Overtown murder victim survivors. Deceased persons cannot claim damages, but their legal survivors may. At the Wolfson Law Firm, our Overtown crime victim compensation attorneys have represented wrongful death survivors for more than 50 years. Keep in mind that any path to damages recovery can be challenging. The Florida Bureau of Victim Compensation has set certain requirements that have to be met, while claiming under Florida premises liability and negligence laws will be met by resistance from the liable person or corporation. To understand your chances of success in any injury or wrongful death case, call our Overtown crime victim compensation attorneys of the Wolfson Law Firm at (305)285-1115. The Wolfson Law Firm has helped injury victims since 1963 and they are standing by to help you too.